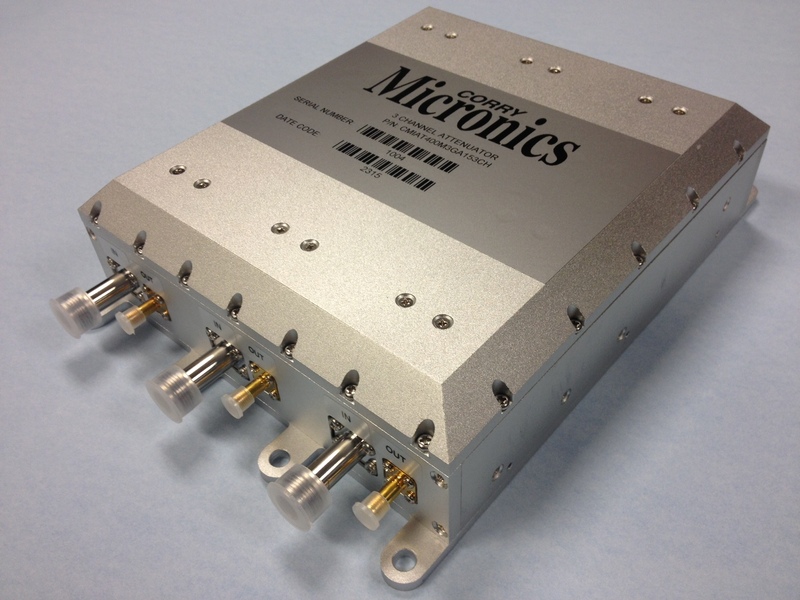 Corry Micronics’ 3 channel, LOW PIM attenuator covers the 400 to 3000 MHz frequency range and has been specifically designed for major mobile access carriers who are attempting to measure or monitor passive intermodulation distortion/interference in communications systems. Attenuators with LOW PIM are more in demand today as more wireless systems are requiring products that can absorb RF power without reflecting or adding PIM. This is especially true in base station and wireless infrastructure, IDAS/ODAS, and 4G applications. This attenuator’s PIM performance test per QSW-08-06-174 @1850 MHz resulted in 160dBc (typical) and 155dBc (minimum) ratings. Additionally, it offers +0.05 dB per any 20MHz over the band. For additional information on its LOW PIM spec (which exceeds industry standards), the attenuator’s high power, and other features and specifications, download the datasheet.